Formal cursive joins all letters with strokes leading to and from each letter. Children are usually taught to join letters from the beginning. This is how we have taught handwriting at Ascot Heath Infants in the past. Capital letters are not joined in either formal or casual cursive scripts. The new National Curriculum promotes casual cursive handwriting. Why have Reception children been taught cursive handwriting? This may have been the result of the previous National Curriculum: to gain a Level 3, children’s handwriting had to be ‘joined and legible’. Schools therefore began to teach joined handwriting earlier and earlier to make sure it was ‘joined and legible’ by the end of Year 2. Before that, it would have been unusual to see Reception children joining their letters. Why is it important to enjoy handwriting? If we can make the physical process of writing – handwriting - enjoyable from the start, children are more likely to see themselves as ‘writers’. If the physical process is unpleasant, they are likely to confound the whole process of writing – handwriting, spelling and composition - into one unpleasant experience. What do we want children to pay attention to? It takes effort to learn anything new and human beings –whatever their age - can only pay attention to one new thing at a time. Learning to write involves a series of complex processes: thinking about what we want to say and how we want to say it; spelling (and English spelling is the hardest in the world); forming and joining letters correctly to transfer those ideas to the page. We need, therefore, to prioritise what we want our children to pay attention to at each stage of learning to write. Each process needs to be planned step-by-step so children can focus upon one new thing at a time. New knowledge should then be practised alongside previously learnt knowledge, gradually applying handwriting skills and spelling knowledge to write down their thoughts on the page. Why should we not teach children a formal cursive from the very beginning? 1. Children learning formal cursive might believe that being a good writer is synonymous with joining letters successfully. 2. Formal cursive takes longer to learn than printing: time that should be spent in learning to read and spell. 4. Beginner writers often need to stop to think about each letter-sound correspondence as they write. Children learning formal cursive, however, might think they are expected to write the word in one continuous flow. 5. Children find it hard to read what they have written. Words are buried in a spider web of strokes. Many children add the joins once they have written the word making their writing even more illegible. 6. Joining letters is a separate skill, quite apart from learning how to form letters well. It can be delayed until later, leaving younger children free to concentrate on composition, spelling and correct letter formation. Some children, however, may well discover joins for themselves, if teaching has focused on correct formation and orientation from the beginning. For example, joining an ‘i’ to an ‘n’ with a diagonal join (as in ‘in’) or an ‘o’ to an ‘n’ with a horizontal join (as in ‘on’) are simple, natural joins that children might well use as a matter of course as they learn to write these common words. This should not be discouraged. This quotation, below, by Hugo Kerr (author of 'The Cognitive Psychology of Literacy Teaching') makes the above points very well. "All the [children] I see are at basic level and all religiously join up their letters, at great cost in my view. The cognitive effort involved in joining up is obviously large and also obviously reduces capacity to think...adding a large and difficult cognitive task, like cursive writing, to an already rather difficult task in a highly competitive environment is a costly affair, especially for the weaker students. "It seems to me very clear that [children’s] writing behaviours show them struggling very considerably with joining up their letters per se. A great deal of their sometimes limited capacity for concentration seems to be directed at that fiddly, effortful and (to me) rather unnatural motor aspect of spelling... Bear in mind these are the weaker readers, so they are wide open to demotivation, not to say humiliation, faced with these complicated squiggles, so ridiculous when considered in detail. "It seems to me self-evident that if cognitive capacity is so ferociously engaged in one domain, there will be correspondingly less of it available for the other domains we are actually interested in. This seems to me to be indisputable. "If any of this is true, then it may be that we are fetishising joined up writing, or at least perhaps insisting upon it way too early? I find ‘joining up’ cumbersome and threatening (it looks a mess when I’m done; it feels clumsy and I feel stupid). "What evidence is there that teaching joined-up writing early is necessary or useful? Would we know what it was aimed at?" How do Read Write Inc. schools teach handwriting? Read Write Inc. teaches a casual cursive style with 7 lifts after lower case letters b g j p q y z. 1. Associate a sound with the shapes of the alphabet letters and, later, pairs of letters using the same picture mnemonics that have been used to teach them to read. 2. 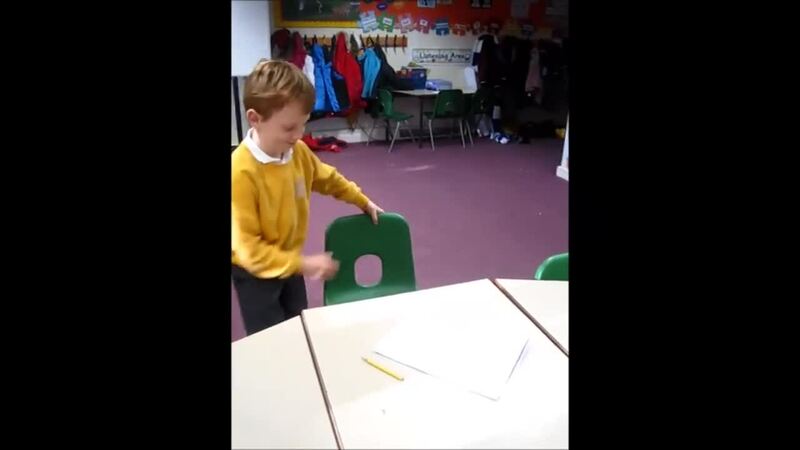 Sit in a comfortable handwriting position and hold a pencil in a tripod grip. 4. Form lower-case letters of the correct size - relative to one another and to the size of the spaces between the words. 5. Develop a style that adds an outgoing stroke to letters. 6. Join letters using the two basic joins – diagonal and horizontal – as required by the National Curriculum programmes of study. Ruth Miskin invented mnemonic phrases to help children form letters correctly. For example, “Round the dinosaur’s bottom, up his neck and down to his feet,” reminds them how to write the letter ‘d’. As the children write the letter they say the phrase and then the sound. 3. Makes it tricky for children to read their own writing: the stroke muddles the shape of the letter, for example, o looks like a, v like w.
Teaching entry strokes (and most exit strokes) makes it hard to teach joined writing later: if you’ve told children that every letter starts on the line, you’ll now have to tell them that they don’t – many letters join half way up the line. You only start the letter on the line when the previous letter has ended there. The government have created a bank of Common Exception Words (CEW) that all children need to be able to read and spell by the end of each year in Key Stage One. Exception words are words in which the English spelling code works in an unusual or uncommon way. They are not words for which phonics 'doesn't work', but they may be exceptions to spelling rules, or words which use a particular combination of letters to represent sound patterns in a rare or unique way. Please work with your child at home to support their learning of these words. 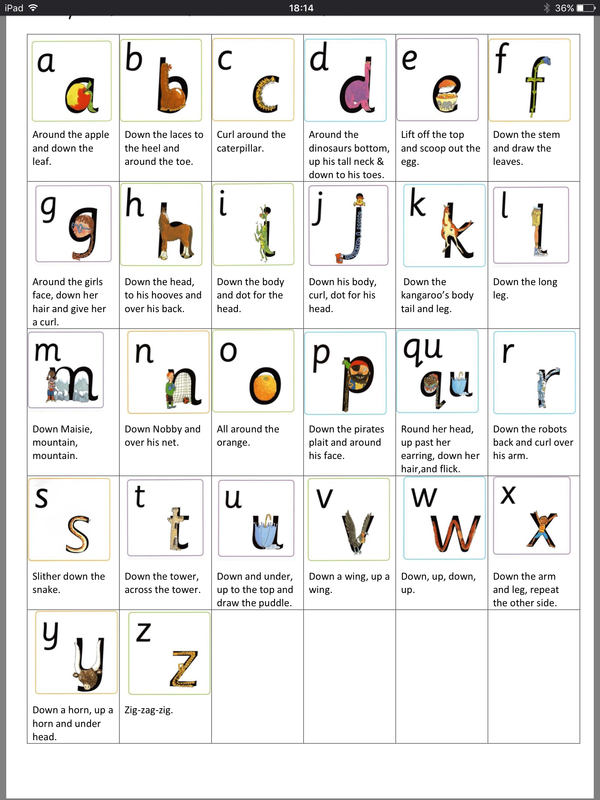 Click on this link to view the Read Write Inc. handwriting phrases to support your child with letter formation at home. The correct sitting position is crucial to successful writing. Click on the video below to see an example of a good sitting position. Please encourage your child to hold their pencil properly right from the start. This will help them to be able to write for a sustained period of time as their writing ability develops. Have a look at two acceptable grips below. The image below is used in school to help children remember which way round 'b' and 'd' go!